This is a guest post by Claire Wilmot, a former intern for the Council on Foreign Relations Africa Program. She is a master of global affairs candidate at the University of Toronto. 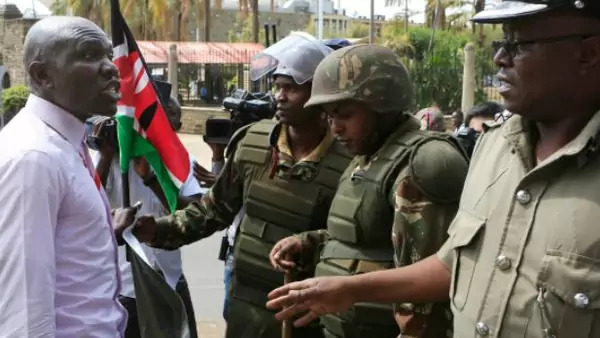 In a report titled “Fighting Terror with Terror,” the Kenya National Commission on Human Rights confirmed over a hundred allegations of human rights abuses committed by Kenyan security forces since 2014. Meanwhile, recruitment in Kenya for the Somali extremist group al-Shabaab is at an all time high, suggesting a link between state-sponsored repression and growing radicalization. The report details twenty-five confirmed extrajudicial killings by Kenya’s Anti-Terrorism Police Unit (ATPU), incidences of torture, the discovery of several mass graves, and over eighty arbitrary arrests and detentions. The targets of these abuses are disproportionately young Muslim and Somali men. In December 2014, The Kenyan National Assembly passed draconian legislation known as the Security Laws Amendment Act. The act limited oversight of the ATPU while giving it sweeping new powers. It allowed for the curtailing of civil liberties, most notably the increase of arrest without trial time to 360 days. What is more, as a result of the legislation, hundreds of civil society organizations have been listed as potential sources of funding for terrorism, including the Muslim Human Rights (Muhuri) organization and Haki Africa, which work to protect and promote human rights in Kenya. Muhari suggested they were targeted due to their work exposing abuses by the security services. Kenyan police targeting of Somalis, many of whom are Kenyan citizens whose families have resided in Kenya for generations, is hardly a new phenomenon. After the terror attack on Westgate Mall in 2013, the Kenyan police increased the frequency and invasiveness of home sweeps in Eastleigh, a predominately Somali neighborhood in Nairobi. By April 2014, over a thousand Somalis were being held without charge in a football stadium in the outskirts of Nairobi, and hundreds of others had disappeared. The combination of heavy-handed tactics and ethnic discrimination discouraged reporting of missing family members lest they became targets of the security forces. Young Somalis in Kenya face challenges common to youth in other developing countries, and then some. If rampant unemployment, poverty, and lack of opportunity disproportionately affect youth, Somalis face the added challenge of ethnic discrimination, police brutality, and in the case of refugees, barriers to formal sector employment. Of Kenya’s half a million refugees, over 400,000 are those who have fled Somalia’s protracted conflict. In a context of marginalization and fear, young Somali men become ideal targets for al-Shabaab recruiters, who offer them security, monetary compensation, and a sense of purpose and belonging. As Somali youth are increasingly victimized by Kenyan security forces and marginalized from mainstream Kenyan society, it is possible to see the appeal of joining the al-Shabaab insurgency. The rise of homegrown terror in Kenya must be interpreted in the context of the country’s security policy, and international funders of anti-terror programs should use their leverage to ensure that parties responsible are held to account. Rather than increasing security in Kenya, the ATPU is adding to the discontent that fuels participation in the extremist groups in the Horn of Africa.